Story blurb: My brother and his brother is the story about an 18-year-old boy Jonas, who tries to create an image of the brother he never met, a brother who died the year before Jonas himself was born. Jonas soon learns that his brother, Paul, had an intense love affair with another boy during the last year of his life. The story – which is told like a crime story, with loose ends, clues and cliff hangers – has been translated into Danish, Norwegian, Dutch, Hungarian, Icelandic, Greek, German, Italian and French. It has also been awarded the French Prix Littéraire de la Bordelaise de Lunetterie. Available in paperback – 169 pages. 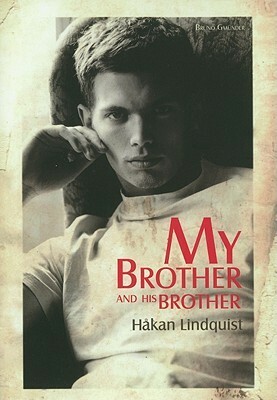 I was first drawn to My Brother and His Brother [Bruno Gmunder Verlag Gmbh, 2011]by the intriguing title, as well as the strikingly handsome, Nordic lad portrayed on the front cover by photographer Howard Roffman. Now, I’ll admit that this is not the best way to choose a novel—“you can’t judge a book by its cover,” etc.—but fortunately Håkan Lindquist came through with an intriguing story as well. Written in Swedish in 1993, but not translated until 2002, My Brother and His Brother, tells the intriguing story of Paul Lundberg, deceased older brother of Jonas Lundberg, who undertakes to piece it together from clues hidden away in his parent’s attic, newspaper archives, and the mind of a family friend. Compelling Jonas onward is the desire to know something of his brother who died under curious circumstances in front of a train. The cause of his death is particularly curious because, in the course of his discovery, Jonas learns that Paul had a rather intense love affair with another boy. So was it a suicide prompted by Paul’s inability to come to grips with his newly-discovered sexuality? Or perhaps a lover’s tiff? Or was it something more sinister? The answer to any one of these questions would make an intriguing story, but to all this Lindquist has added the quest for closure when the loss of a family member might have been caused by suicide on account of his homosexuality. There is also a coming of age dimension, for in unravelling the truths about his brother Jonas is also learning about himself. Therefore it is an epiphany of sorts, and also a bridge that brings the family closer—particularly between Jonas and his father. This is a ‘sweet’ story of brotherly love, a topic not often explored, but thoroughly poignant and enjoyable. Five bees. The cattle drive that Cory and Reb undertake—based on Norman Lee’s 1,500- mile drive in 1898—follows the Collin’s Overland Telegraph Company’s trail for much of the way. The Russian–American Telegraph, also known as the Western Union Telegraph Expedition and the Collins Overland Telegraph, was a $3,000,000 undertaking by the Western Union Telegraph Company in 1865-1867, to lay an electric telegraph line from California to Moscow via British Columbia and under the Bering Sea. Abandoned in 1867, following the successful laying of the Transatlantic cable, the trail remained. 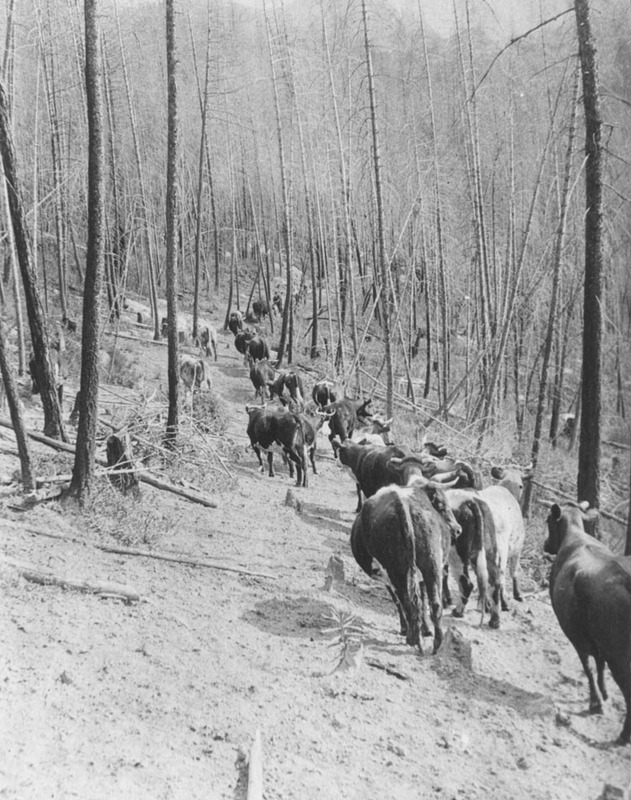 It was about 12’ to 15’ wide through deep woods and swamps, and the cattle drive pictured in this photograph may well be Norman Lee’s herd. Meet Kerry Sullivan, an Irish-American poet about to break onto the scene with his first collection of poems. The following is an example of a shorter poem. To learn more you can contact him at: kilverel@gmail.com. And in the rain there’s pain. Just in time for St. Paddy’s Day! Sean and Patrick McConaghy are two young cousins who set sail from Ireland one St. Patrick’s Day in 1820, and after a long and eventful crossing of the tlantic, they tackle the mighty St. Lawrence River with a band of rugged voyageurs to eventually settle in the wilderness of Upper Canada. Kindle and Nook versions: $4.95 U.S.D. Thanks for dropping by. Your participation has topped 22,000 visitors. Bravo! Gerry B’s editorial comment: I hasten to add for Paypal’s edification that this is not an incestuous love in any way—although it would be none of their damned business if it was.